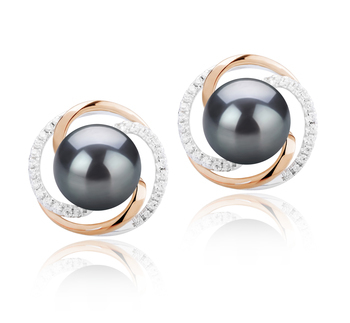 Nestled between silver and gold, interlocking rings lined with two rows of clear crystals, is a perfect button shaped, AA grade black freshwater pearl. 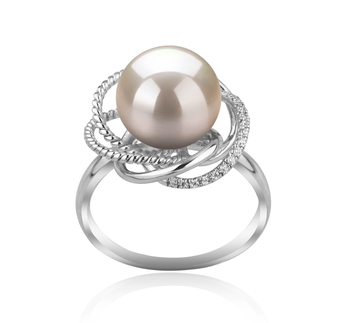 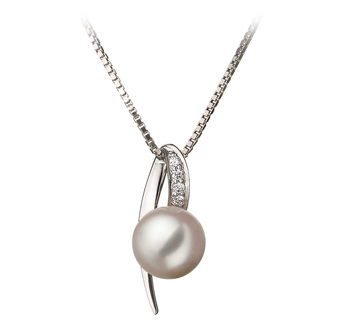 The gleaming rings cradle the perfect 12-13mm pearl, giving it a modern yet classic look. 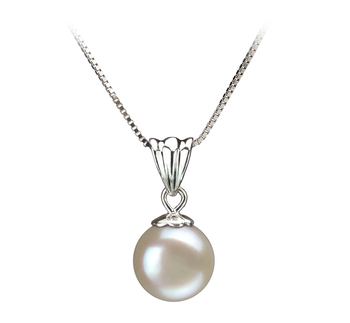 The Judith is a pendant that you, your Grandmother, or teen daughter will love with its soft, rounded curves and combination of shine with a little bit of bling. 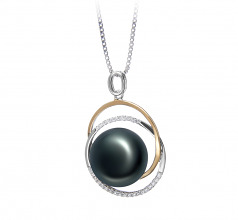 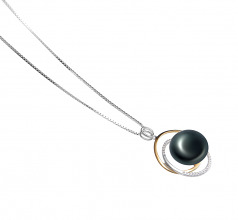 The pendant’s stylish good looks match well to a casual jeans and t-shirt outfit or a slinky, little black dress. 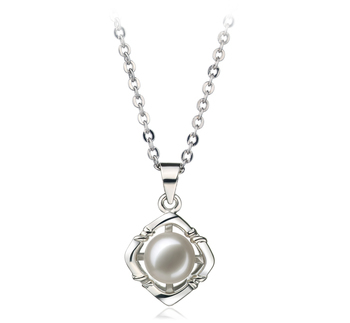 For a soft statement that blends in yet, gets noticed, add the Judith pendant to your business casual dress or slacks. 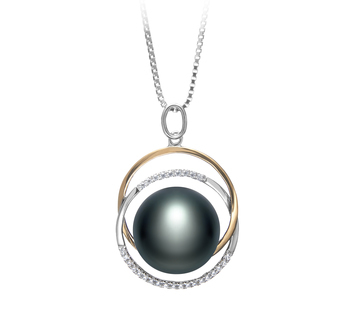 With rainbow hues skimming across the pearl’s surface, you can pair it with almost any color, from red to black and everything in between.